Before going "live" you MUST test your shopping cart to ensure that your MSA account and PayPal account are properly connected. Have at least one product with a small dollar amount (75 cents works) to run your test. Make sure you are a parent in the system with your email. When testing the cart through to PayPal, log out of your account and open a NEW browser window. 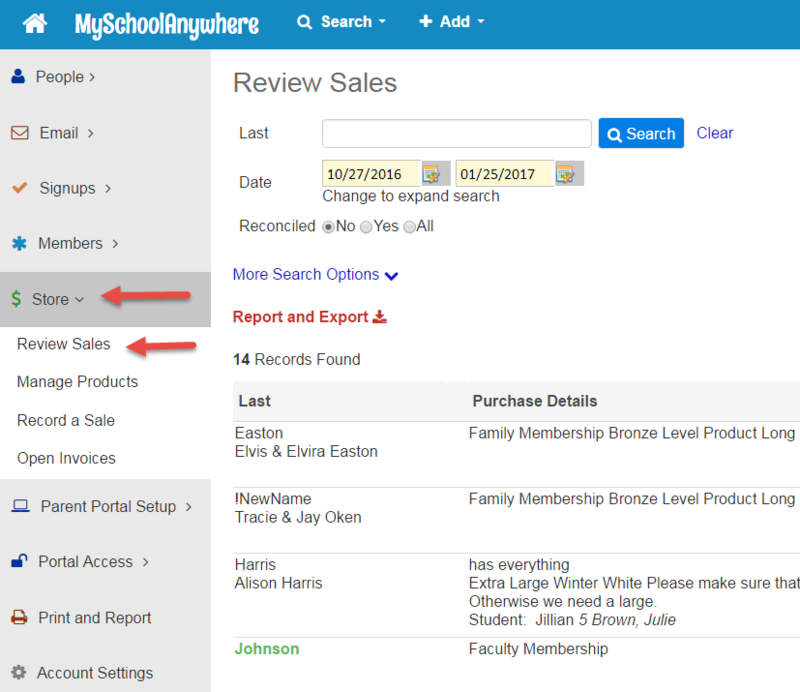 Processing a cart transaction will automatically end your MySchoolAnywhere admin session. You must log back in to see the transaction. There are several ways a parent can get to your online store. Use one of the options below to ensure your store is set up properly. Via a data confirmation email. Click Go and you'll proceed to your online store. Click on the link to be taken directly to the store. Proceed to add an item to your cart, checkout and pay. Click on the link and go to step 5 and save and confirm. You'll now be on your shopping cart page. Click on the Visit our Store link in the TOP menu on the home page. Click the "continue to the secure store" and proceed to add an item to your cart, checkout and pay. Have you or your treasurer log in to your PayPal account and check on the activity page to see the receipt of payment. Login to your MSA account and go to Store / Review Sales page. Your transaction should display here.